Ok. You know that I love horror, right?! Well, yes I think I shout that from the rooftops as often as possible. So this week I was thrilled to be invited to attend the very select and exclusive Auckland premiere of new independent Kiwi horror film – The Dead Room. Based on the true story/urban legend and generally freakishly worrying events surrounding a ‘haunted house’ in Central Otago and the paranormal investigators that look into findings at the spooky abode. co-writer Kevin Stevens who spoke some brief but valuable words before the screening. The exemplary acting ensemble of Jed Brophy, Jeffrey Thomas and Laura Petersen were also at the premiere and gracious in the presence of the screening audience and so giving of their time with fans (ahhem…like ME!) to discuss the film. Oh my wow! Sitting next to Jed Brophy and his lovely wife Yolande. If you look directly above my head you can see Matt Stutter (sound re-recording mixer / supervising sound editor) leaving after the screening too. Mr. Jed Brophy, star of some of my all time favourite films like Heavenly Creatures, Braindead, The Lord of the Rings Trilogy, The Hobbit Trilogy and District 9 to name a mere few of his film credits. Jed dwarfing it up as Nori in The Hobbit Trilogy. Mr. Brophy’s company, especially when the ending was a surprise to him too! “Wow, that was scary” said Jed, “…and I’ve seen most of it!“. “You’re in it!” I exclaimed. Laura Peterson is just perfect as Holly! 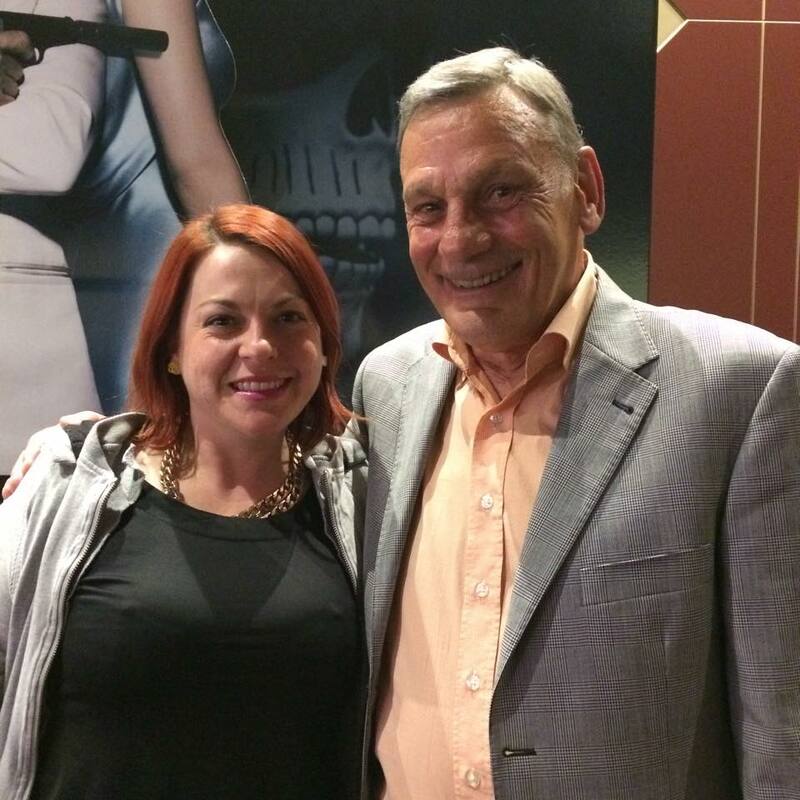 We had a quick chat after the screening. 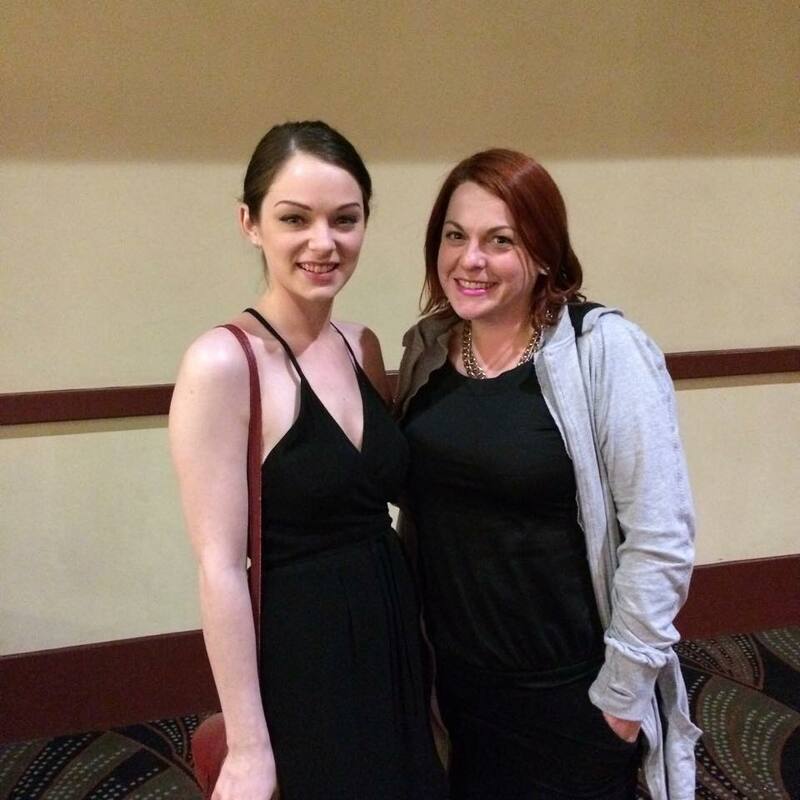 Meeting lead actor Laura Petersen after the screening, it was so wonderful to have a little convo and hear about Laura’s favourite parts of creating this kickass horror film. But even better, being able to express to Laura that I felt her character, Holly Matthews, was the real heart of this film was so special and was clearly gratefully and graciously received. Myself and Mr. Jeffrey Thomas – what a voice! An absolutely lovely Gentleman. Lead actor Jeffrey Thomas has appeared in The Hobbit Trilogy along with Jed and also Kiwi gem Forgotten Silver as the ‘documentary’s’ narrator. Taking some time to chat to Jeffrey after the screening, we talked about the merits of The Dead Room‘s very economical script, which Jeffrey agreed was one of the aspects about the project that attracted him to doing it. By this time I was pretty jazzed out after seeing a fantastic and actually scary horror film AND speaking to the very talented and skilled lead acting ensemble…I wanted to make a quick dart out the door to do my first reaction posts, but there spotting me, was the director and writer Jason Stutter. We (along with his brother Matt) spoke about the RUMBLE Sound Technology innovation, also the effects I was feeling on my body after experiencing it and generally getting to gush to Jason about how much I enjoyed his film! Husbandito Leon, Jason and myself discussed some of our favourite shots and about how Jason was excited to see audience reactions, as by this time in the project’s process he’s seen it so many times, that it’s vital to capture some idea of the film through an audience’s perception. I can tell you, it felt pretty rad to let Jason know that I felt The Dead Room is a very Hitchcockian, ‘Pure Cinema’ horror film with a delicious level of creepiness. The Dead Room is in cinemas right now and if you’re looking for a scary film to go out and see this Halloween weekend then make it The Dead Room so you can be terrified, delighted, proud and support Kiwi film all at the same time! 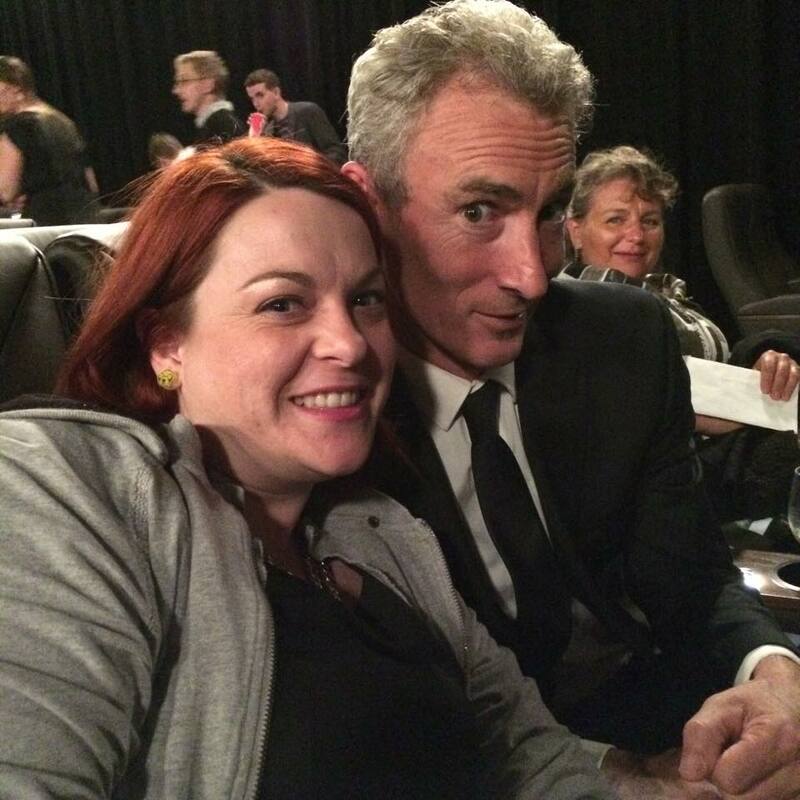 Jed Brophy and my reaction to RUMBLE Infra Sound Technology and the surprise ending…scary faces = Jed’s idea. WIN! a double pass to The Martian plus a Plant-in-a-Can collectible!